Waveny House on Jan. 24, 2017, in New Canaan. NEW CANAAN — The town may soon see the Waveny estate as an official, nationally registered landmark by next year. Rose Scott Long, co-president of the New Canaan Preservation Alliance, presented a draft of the Waveny nomination to the National Register of Historic Places to the town council at its July 18 meeting, which was unanimously approved. Long said though the Preservation Alliance had wanted the entire Lapham estate to be included, the researchers hired by the Alliance said that was not an option. Virginia Adams, a senior architectural historian from The Public Archaeology Laboratory Inc., was hired earlier in February by the Alliance to coordinate research efforts of the nomination, along with a landscape and architectural historian. 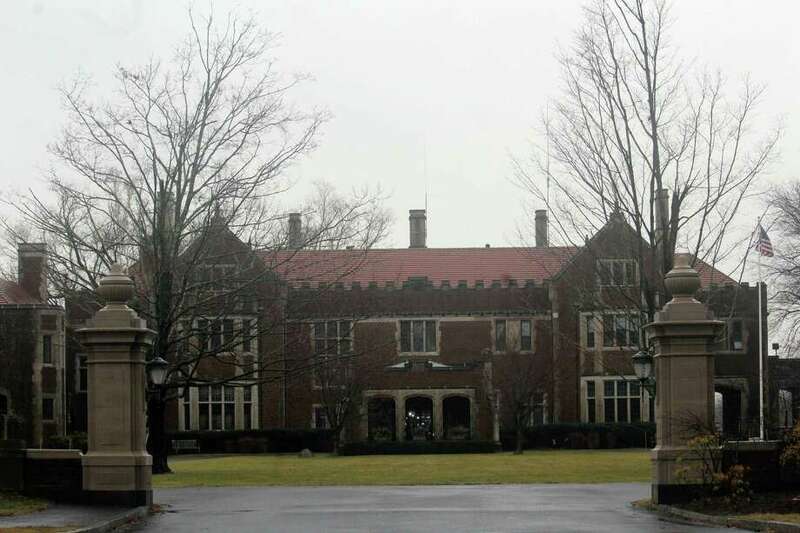 The Waveny House, purchased by the town in 1967, is at the center of Waveny Park which has 250 acres of parkland, according to the New Canaan Park and Recreation website. According to Long, the Alliance is hoping to submit the nomination to the Connecticut State Historic Preservation Office by the end of the month. The nomination costs $30,000; half of that is funded by the Preservation Alliance and the other with a grant from the state Department of Economic and Community Development Commission. The process to get to this point, however, almost didn’t take off four years ago. Long and town council members referenced a Dec. 18, 2014, town council meeting that took a rarely seen tie-breaking vote from then-First Selectman Robert Mallozzi to decide if Waveny House should have an official historic status. The motion approved in 2014 called for the nomination of the mansion alone, with the boundaries to be determined at a later date — which happened last Wednesday. When town council members inquired about what the specific boundaries were, Long said it would be the Lapham estate minus the high school, Waveny Care Center and the water tower parcels, as those had been altered too much over time. The town council this time around, unlike at the 2014 meeting, unanimously passed the motion to approve the described boundaries. Town Council member Steve Karl, who had been a staunch opponent to the nomination four years ago, said he recognized the label of having a property be in the national register.